Self contained website downloadable in zip file format. Built for cross-browser display viewing on the largest number of mobile and hand held devices, smartphones, iPhone, tablets, iPad, iPad-mini, laptops, PC & Mac computers, the Teal mobi-Hybrid® website template design is built as a complete HTML5 web site with multiple formatted pages, global .css styles, plain text menu & footer files setup globally, a dynamic photo image slideshows and contact us page. 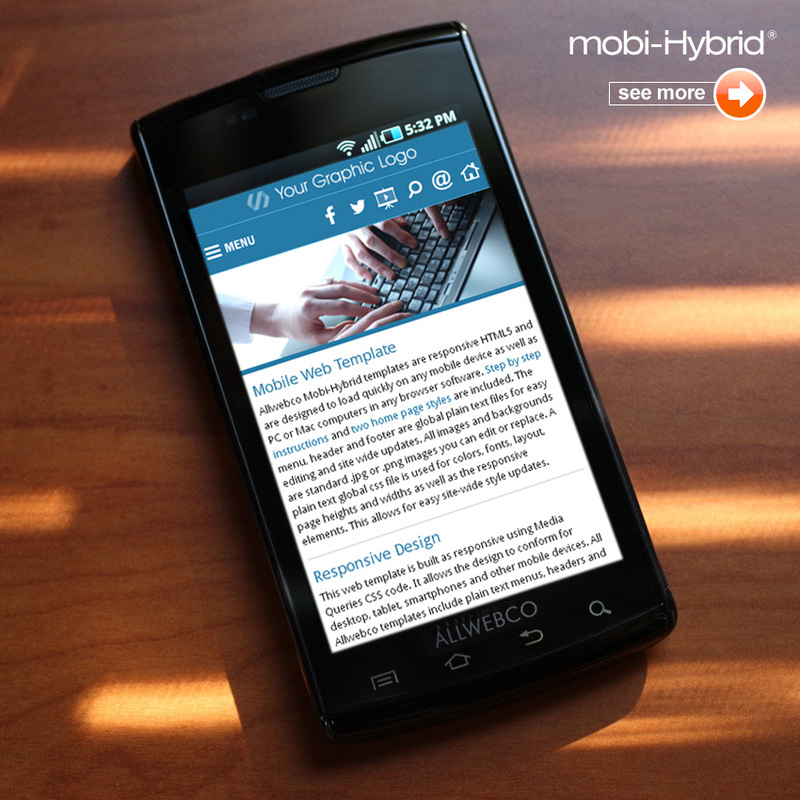 SEO friendly HTML5 code with CSS and mobile device optimization already built-in. 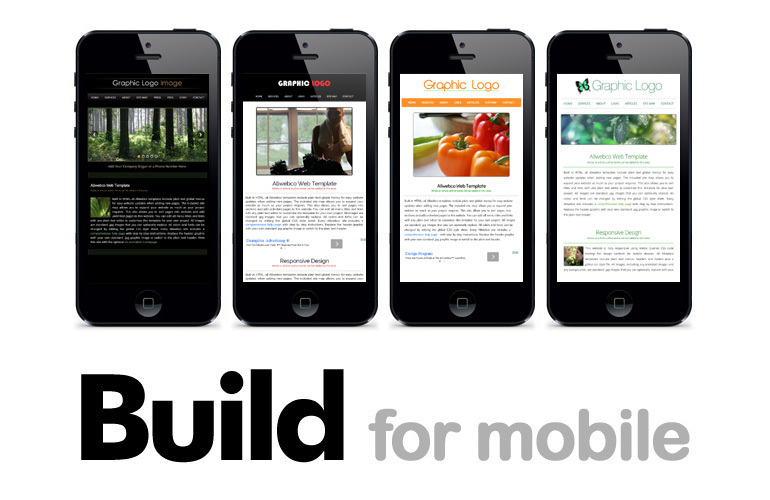 Go to mobile website templates | Creating Mobile Friendly Websites.